On 26 June, he was given a conditional sentence over comments on VKontakte. 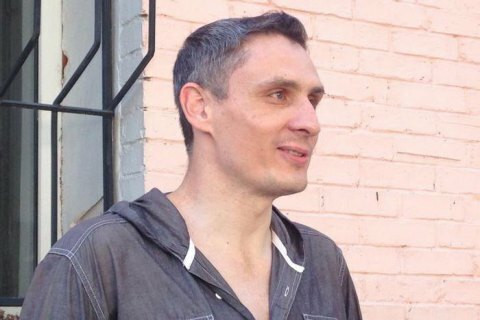 Sevastopol-based pro-Ukrainian activist Ihor Movenko was released from the Simferopol remand centre late on 28 June, according to an LB.ua correspondent. The Russia-controlled Sevastopol city court ordered his release on a conditional sentence with probation on 26 June, however the administration of the remand centre did not want to release him, quoting the absence of relevant documents. Upon his eventual release, Movenko said he felt fine, his cellmates were former employees of law-enforcement agencies, therefore he had no problems. He is planning to take a rest and register with a parole officer. The court recognized Movenko guilty of making public calls for extremism by leaving several comments in the "Crimea is Ukraine" group in the Russian social network VKontakte, but changed his actual sentence to a conditional one.